A phonetic alphabet is a list of words used to identify letters. It was developed to put an end to confusion in telephone or radio conversations. Two words may sound alike and still they can have very different meanings; for example: "sale" and "sail." Spelling is therefore necessary to tell one from the other. Unfortunately, spelling is not enough to solve the problem, as it can also become confusing with similar sounding letters like "B" and "D." The phonetic alphabet, where letters are substituted by spoken words from an approved list, was thus developed to help prevent confusion between similar sounding letters/words, and to clarify communications that may be garbled during transmission. For example, the word "Navy" is spelled "November Alfa Victor Yankee" per the current phonetic alphabet. An early version of the phonetic alphabet appeared in the 1913 edition of "The Bluejackets' Manual." It was found in the Signals section and paired with the Alphabetical Code Flags defined in the International Code. The words selected to represent some letters have since changed several times, as shown in the table below. The meaning of the flags (the letters they represent) and their names (which make up the phonetic alphabet) were chosen by international agreement. Any changes must also be made by international agreement. 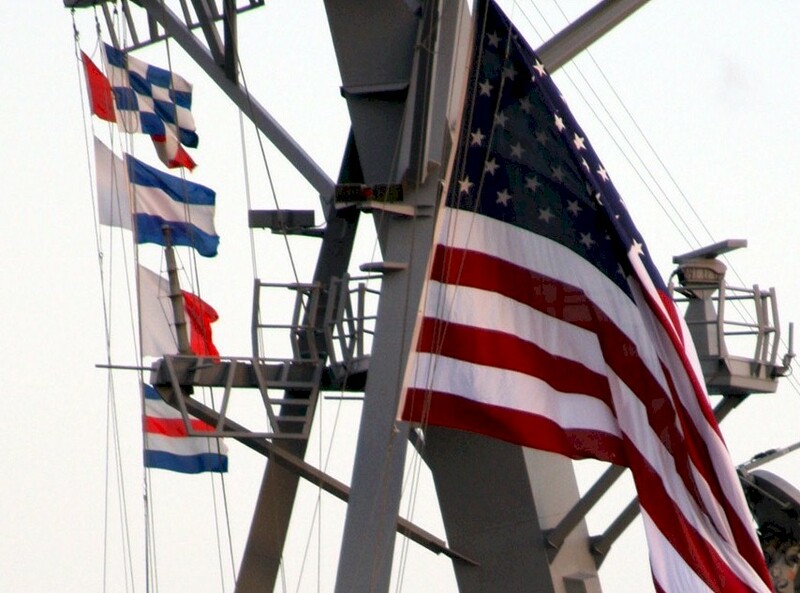 (1) Five flags have special meaning in Navy signaling: A (Affirmative), I (Interrogatory), N (Negative), O (Optional) and P (Preparatory). They are called governing flags and convey specific information about how to interpret a signal based on their position among the other flags raised. They have their own names and the Navy often used these special names instead of the standard ones, but during WW2 it was necessary to communicate with the Army or Allied forces, and Navy signalmen were directed to use the standard names. Navy names are noted [N], standard names are noted [S].